Whether you are an avid texter or still getting the hang of it, texting is now an integral element of the dating scene. For women, knowing how best to communicate with potential dating partners via text can help bring a budding relationship to full blossom. With some easy tips, women can make the right choices when texting in the Wide World of Dating. Texting is one of the fastest growing forms of communication in society. It's common practice now for guys to text immediately after meeting a woman and getting her phone number. This is often done to confirm the number is real, and so both parties can enter the new contact information into their phones. So, if you get a text from your new dating interest just minutes after leaving the party, bar or club, this isn't so strange, although it may seem a bit eager. Don't feel rushed to text back immediately, though. Taking your time to respond shows you have other things to worry about than answering his speedy response to your first meeting. If you want to initiate a text conversation with a guy you dig, have something intriguing to say, pose a relevant question or invite him to hang out. Just sending a text saying “hey” or “hi” may not elicit a response, and can send the message you’re just begging for attention. 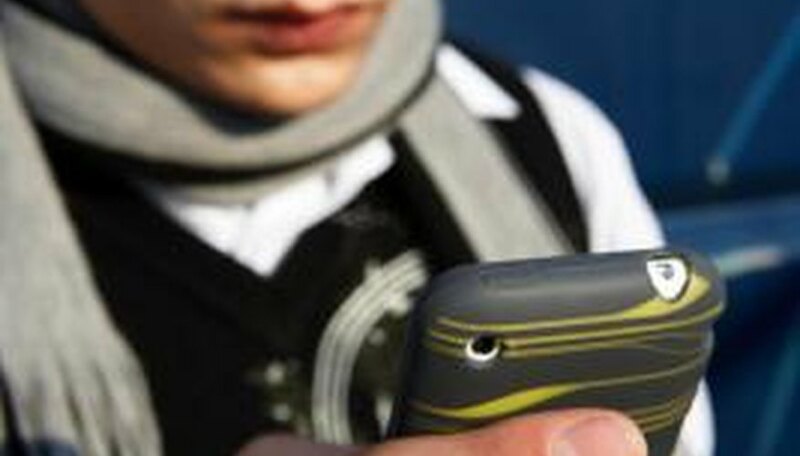 Texting Is Its Own Language--Does He Speak It? Avoid overuse of abbreviations or slang if it seems your date is not familiar with these terms. Only use emoticons where appropriate--they can downplay your sincerity. But include emoticons if you think they will help convey a joke, sarcasm or another thought that’s difficult to put into words alone. The better choice, however, is to save these easily misinterpreted expressions for an actual verbal conversation. Textiquette When "Playing the Field"
If you are “playing the field,” never, EVER answer texts from other suitors while you are on a date. Better, don’t answer texts, emails or phone calls from anyone while you are spending time with a love interest. Even if it’s from your mom or your boss, your date may not believe you when you tell him who it is, or may feel you're not giving him your full attention. Conversely, if you are bothered by your date texting during your time together, make a light joke about it that implies you'd prefer he waited until later to text. Set a good example by keeping your phone out of sight and set to silent. When in Doubt, DON'T TEXT! Trying to carry out involved or emotionally charged conversations via text can lead to confusion, misinterpretation and negative consequences. Save important conversations for face-to-face, or over the phone, if your face time is limited. If it takes the man you're dating a long time to text back, don’t panic, even if he normally answers you “right away.” There are 1,000 excellent reasons why he may not be as responsive as usual. Chances are, he has a good reason, not a sneaky one (like he is cheating on you with your best friend) for not answering. Assume the best. If you are anxiously waiting for a text back, either put away the phone, call him -- once -- or send a message saying, “I know you're probably busy but I just wanted an answer to my question because…” with a legitimate reason why you need a fast response. If it's nothing pressing, then don't press. Keep in mind that not everyone has an unlimited texting plan. Some guys don’t have a text plan at all, so their ability or willingness to text may be limited or nonexistent. If a guy tells you he can’t afford to text you fivetimes a day, respect his honesty, and send a free email instead. If you both have smartphones, find out if you can use an instant message service, which is free for both parties, instead of SMS text. Drunk texting is great if you want to send one good, flirtatious message or a happy thought. Drunk texting is bad if you intend to address an issue or pick a fight. If you’re drunk, feeling down and dwelling on negative thoughts, put your phone away, do a shot with a friend and dance, rather than picking a fight that may seem trivial in the morning. For the best results, the amount of texting you do with your new dating partner depends entirely on the individual you're dating. The most important thing, and what he'll appreciate most, is to be responsive to his needs and preferences. If he seems disappointed when he doesn't receive a daily update from you, send him a text once a day with a witty, amusing or affectionate comment. If he's not a big texter, respect this, and only send texts when it's important or truly the most efficient means of communication. Evan Marc Katz: Why Do Guys Send Text Messages To Keep in Touch While Dating? Masters, Madeline. "Text-Messaging Dating Tips for Women." Dating Tips - Match.com, https://datingtips.match.com/textmessaging-dating-tips-women-8299207.html. Accessed 19 April 2019.